Chicken and prawn salad, with fresh mint in a light lime and chilli dressing, all topped with roasted peanuts. Vegetarian option available. Choose from: Vegetables, Chicken or Tiger Prawns. Please be aware of the following allergens ingredients that are on our menu: Gluten, Crustaceans, Eggs, Fish, Nuts, Peanuts, sesame seeds, Soya & Sulphites. 10% service will be added. Thick rice noodles in a fragrant Vietnamese broth with mixed Vegetables. Lemon grass and chilli marinated Veg or Chicken, served with vermicelli noodles, fresh salad and crushed roasted peanuts. Lemon grass and chilli marinated Beef, served with vermicelli noodles, fresh salad and crushed roasted peanuts. Medium Red Curry with coconut cream, fine green beans, potatoes & bamboo shoots. Spicy Green Curry with coconut cream, fine green beans, potatoes and bamboo shoots. Mild Peanut Curry with coconut cream, fine green beans, potatoes & bamboo shoots. Should you bring your own Birthday Cake, £2.00 per person charge will apply. 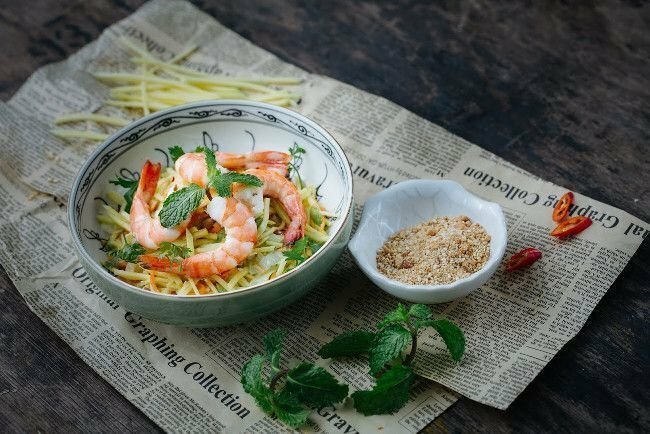 Vietnamese food is quickly emerging as one of the most popular Asian cuisines. Its unique blend of cultural influences from China, France, Thailand, Laos and India has created food with a distinct personality. Thanh's Bistro, humbly, offers you authentic Vietnamese cuisine in the South East of England. We use fresh ingredients by buying locally, and even grow some of our vegetables in the summer season. Each dish is created with fresh ingredients and lively flavours, because we believe that food is a daily celebration of life.